The 21st SAG Award Nominations were announced this morning on TNT and TBS from the Pacific Design Center's SilverScreen Theatre in West Hollywood! Ansel Elgort (Fault in Our Stars, Divergent) and Eva Longoria announced this years nominees. 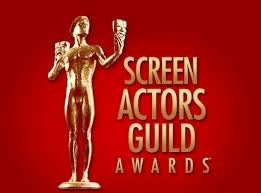 Here is your list of nominees for this years SAG Awards. The SAG Awards will be broadcast LIVE January 25th on TNT and TBS.